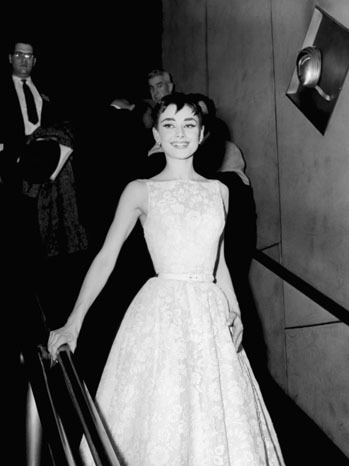 No Oscar dress list is complete without Audrey Hepburn. The iconic actress looked every bit the modern movie star in a sweet, ivory lace gown designed for her by longtime sartorial collaborator Hubert de Givenchy in 1953, the year she won best actress for her work in Roman Holiday. Michael Jackson on her arm, $20 million in Harry Winston diamonds and a blinding Bob Mackie sequined gown - no, Madonna didn't opt for low-key at the 1991 Academy Awards. But she looked like an old-school movie star anyway and still retained her signature pluck. And in the end, that's the true mark of successful style. Say what you will about John Galliano and his missteps, but there's no disputing that the embroidered chartreuse Dior creation he designed for Nicole Kidman in 1997 ushered in a new era of daring, fantasy-filled red carpet dressing that remains to this day.